The sunny weather we've had this week (70 degrees in Boston in March?!) has us Bostonians thinking of spring. That can mean different things to different people, and one of the great things about living in this city is the variety of seasonal choices we have. So, whatever floats your swan boat, there will always be something to put a smile on your face if you're in Boston for the spring. Evacuation Day is a holiday in Boston that falls on March 17th each year. On that date in 1776, the Continental Army, under the guidance of General George Washington, utilized trickery to convince the British Army to vacate Boston. 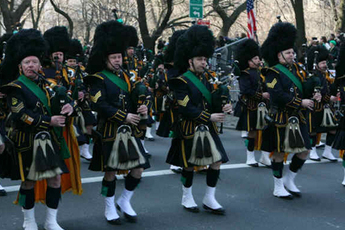 While March 17th is considered the actual Evacuation Day holiday, the St Patrick Day's Parade in South Boston generally falls on the Sunday following the 17th. Marching bands and Pipe bands from around the country descend upon Southie to join with local social groups to march in the historic parade. Beginning at 1pm at the Broadway T Station, the route winds around Southie before ending at the Andrew T Station. This festive event is fun for families, young professionals, and college students alike. Visit www.southbostonparade.org for the full route information. Created by Robert Paget in 1877, the swan boats run between the 2nd weekend of April and the 3rd weekend of September. These dual-pontooned boats can hold between 10-24 adults, depending on the age and size of the boat. 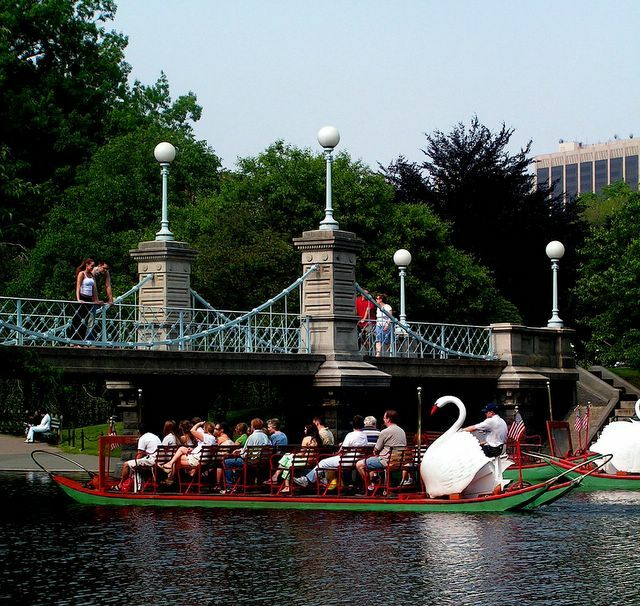 A favorite of tourists and locals alike, the swan boats have long been considered symbolic of Boston. These boats are often piloted by sole high school or college students so make sure you offer plenty of encouragement! For more information on schedules and fares, please visit www.swanboats.com. 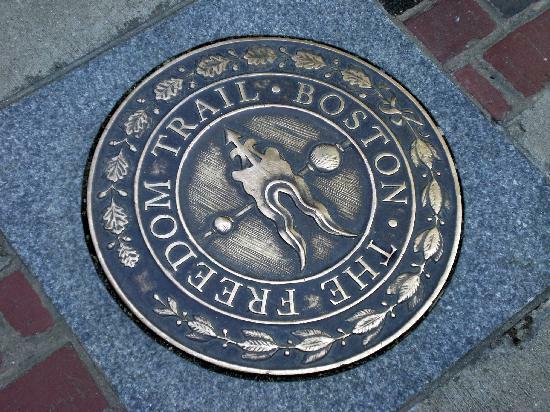 Spring, with its mild temperatures and flower-scented air, is the perfect time to stroll the 2.5mile Freedom Trail. The Trail follows a line of red bricks with stops along 16 historically significant sites. The Granary Burying Ground, near the Boston Common, is the final resting place of several notable founding fathers of our country, including John Hancock, Paul Revere, and Samuel Adams. Faneuil Hall known as the "cradle of liberty", built in 1741 has remained a meeting hall and marketplace for 275 years. Once a favored spot of the original American rabble-rousers (the Sons of Liberty), Faneuil Hall serves today as the location where hundreds of new citizens take the Oath of Allegiance. Immortalized in the poem, "The Midnight Ride of Paul Revere", the Old North Church in North Boston is the oldest standing church in the city. Schoolkids across New England will recall reciting "one if by land, two if by see" from the Longfellow poem. For a complete list of all the historical sites along the Trail, please visit www.thefreedomtrail.org. No list of springtime Boston activities would be complete without a trip to Fenway Park to see the Red Sox open their 2016 season. Whether you can make the home opener on April 11th at 2:05pm against the Baltimore Orioles, or you catch another game, a trip to Fenway Park is a "cannot miss" for anyone in Boston. "America's Most Beloved Park" has been the home of the Boston Red Sox since 1912. 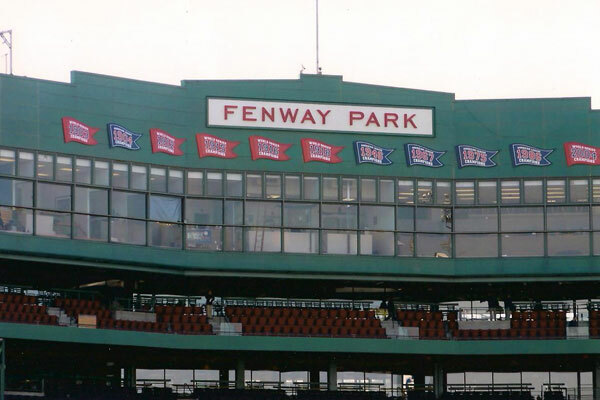 Located in the Fenway-Kenmore neighborhood, this iconic park is known for its cozy confines, Green Monstah, and hand-operated scoreboard, baseball fans from around the world come here every day to take tours, catch a game, and soak in some history. Navigate over to www.boston.redsox.mlb.com for more information.